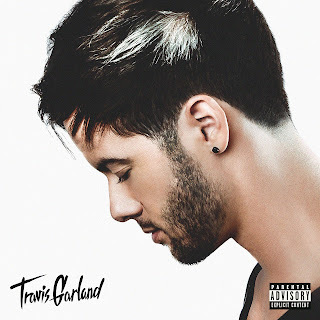 MELISMATIC: HEAR THIS: Travis Garland Steps Out Of The "Clouds"
HEAR THIS: Travis Garland Steps Out Of The "Clouds"
September 10th. It's just over a week away. That is the date when all of the time spent waiting for a tangible Travis Garland record to formally drop for sale ends. Considering how excited and anxious I am after waiting, I can only imagine the excitement he is feeling now that his official album release date is so close you can taste it. Travis's vocals first hit my ears back in 2007 thanks to the underappreciated boy band NLT. After three fantastic singles and countless album pushbacks, the group fizzled out and went their separate ways. The group's unequivocal lead singer kept his nose to the grindstone, what with a rumored deal with Interscope and a plausible solo project on the horizon. Perez Hilton and Ryan Seacrest sung his praises and not long after, the Danja-produced, super shiny "single" in "Believe" hit iTunes -- complete with a performance aired on 'American Idol' in 2010. Still no album in sight. 2011 brought us the first of Travis' self-written mixtape projects, the James Bond-influenced The Last Man Standing. Fashionably Late followed a year later, along with its sequel in early 2013. This brings us to now, with the release of the single "Clouds" and, finally, the self-titled solo album release date. Basically, this is your last chance to jump on the bandwagon before it leaves the station. "Clouds" reinforces the worthy comparisons to R&B of yore or the meteoric rise of Miguel or Frank Ocean. The progression of Travis' work has decidedly veered in this direction the past few years -- taking a right turn from earlier, more slick, pop-tingled tunes (like "Believe" -- an utter red herring). Considering Trav's big pipes, it was more than a smart decision. It was and is the right decision. His pop sensibility isn't gone -- it continues to live and breathe in his penchant for memorable and catchy hooks. This style let's his raw, melismatic (HELLO) vocal tendencies run wild. Obviously, I'm pretty okay with that. Travis Garland will include a handful of pre-released-via-mixtape favorites in steamy "Neighbor" and "Homewrecker", cerebral "Blue Electric Roses", and my personal favorite (so far) in the soulful "Abby Lee". But the vast majority of the tracklist will be completely new, unreleased material. Considering his track record, I'm literally salivating at the thought. While we wait, check out my 'Live From New York' (complete with video of Travis' entire set!) from back in March. Travis Garland will be available for downloadable purchase at iTunes on September 10th.